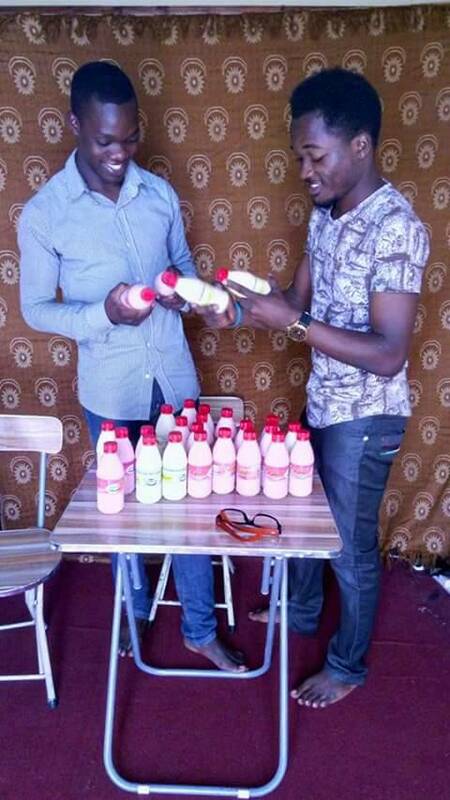 For a minute forget about the people venturing in different careers from those they pursued while in school, these three entrepreneurial food scientists from Kyambogo university have, in two months, made a fortune from what they learnt in class using the minimal resources at their exposure . 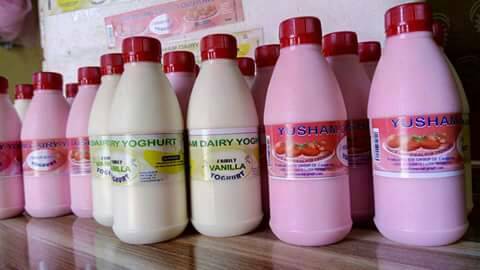 These three students including Mwase Yusuf Muzamiru, Mugenyi Patrick and Ochen Ben Kizito are doing Bachelor’s of Food Science and Technology, are the brains behind the well packaged, delicious and unique dairy products called Yusham Yoghurt. They used start up capital of just UGX200,000. The yoghurt made by the enterprising students. 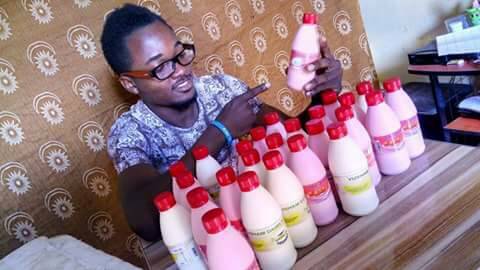 While doing his internship at Uganda Industrial Research Institute (URI) , Mwase Yusuf Muzamiru, the director of the BM group of companies came up with a workable idea of making yoghurt that he could sell to his immediate neighbours and friends while at campus. 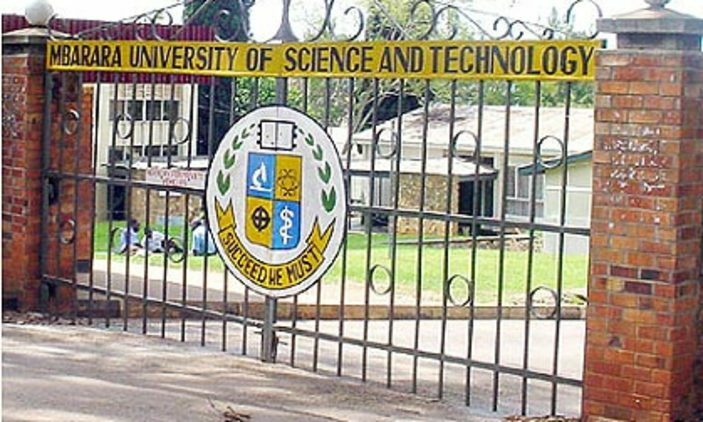 “While at Uganda Research Institute as an intern, I was exposed to various departments where I would make rounds each week but when I was assigned to the diary section I picked so much interest that I learnt as much as I could after realising I could make a fortune out of this,” Mwase told Campus Bee. When he introduced the idea to his supervisors at Uganda research institute, they were moved by the idea and promised to support him and issue a temporary certificate he could use to produce as he awaits approval from the Uganda National Bureau of Standards. 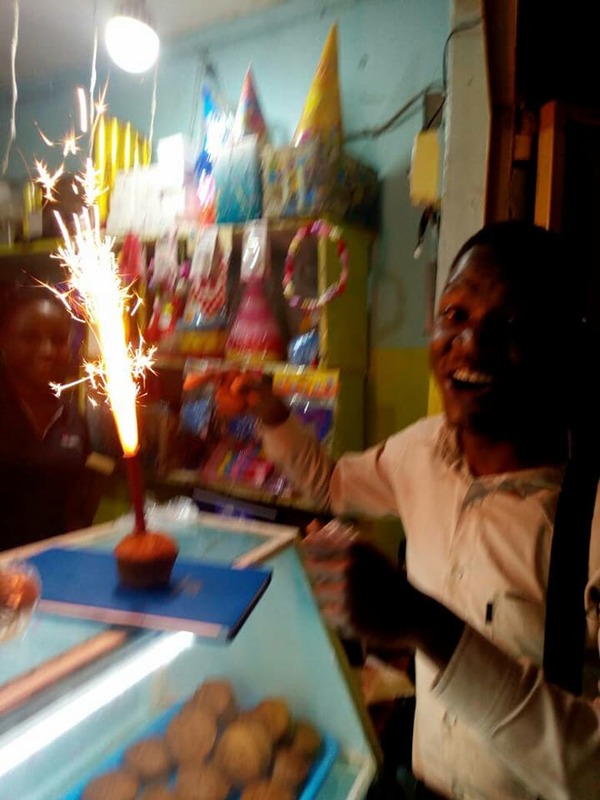 In no minute, Mwase introduced the idea to his two fellows who were also excited, collected a few monies and production started immediately at their hostel premises in Banda. The Kyu students display their stock. 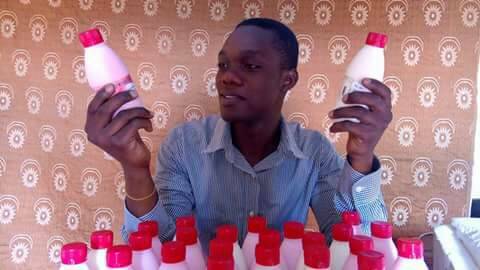 Mugenyi Patrick was charged with the duty of heading their production activities and Ochan Ben Kizito with the marketing of the product. However, these young enterprising students say they’ve found some challenges which fortunately they think can’t stop them. “We’ve registered some challenges including the bad debtors that take advantage of us being new in the market and also the high production costs like the stabilisers, expensive milk, packaging and branding- all which have somehow taken a big margin of our would be profits,” said Mugenyi Patrick the head of production. But even with those challenges these three entrepreneurs have managed to establish and position themselves in the market in just two months. After testing the market they expect to expand their product line and produce more flavours including chocolate, vanilla, coffee and also banana juice come next year. Their biggest break through so far was the big sales they staged at the youth expo that took place at the Uganda museum where they managed to have many people from different parts of the world taste their yoghurt and oh boy they impressed. These boys say they have managed to multiply their capital which is a good thing and they expect to find new premises that can harbor their business. The yogurt prices vary according to size: The 300ml bottle goes for 2000 shillings, 3000 shillings for the 500ml and 5000 shillings for the 1 litre bottle. What keeps these boys going is that the customers and traders who get to taste their product and say “it’s a very unique one.” This has motivated them so much and given them a big breakthrough especially around campus for now.